For the first time ever, Rouge Dior unveils an exclusive gift box inspired by the catwalk. 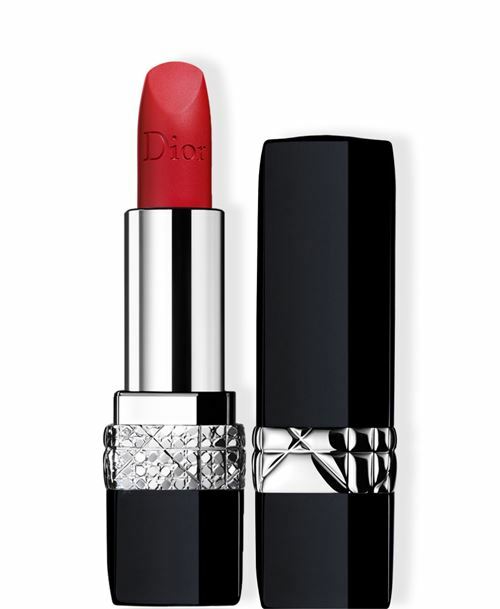 A manifesto to pure couture and an exclusive feature of the Precious Rocks collection, this gift box features the Rouge Dior Bijou lipstick in 999 Matte, redesigned with a faceted cannage band, as well as five refills featuring iconic shades. Rouge Dior Bijou lipstick in 999 Matte is also available individually in a non-refillable version. Radiant and highly pigmented couture colours that offer optimal comfort and long-lasting wear, available in either a matte or a satin finish.